The next St. Lawrence County Historical Association’s Brown Bag Lunch Series has been set for Thursday, October 18th. 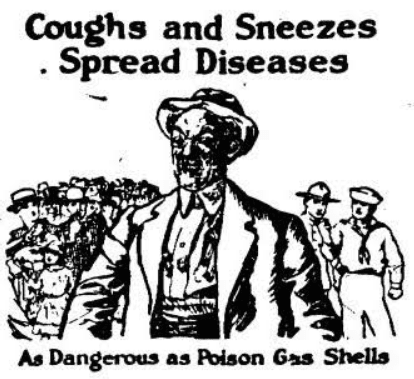 This program begins at noon, will be led by Bryan Thompson and will focus on the 1918 Flu Epidemic. Attendees are encouraged to bring a lunch and enjoy a beverage and dessert provided by SLCHA. Bryan Thompson, a seventh generation St. Lawrence County native, is the municipal historian for the town of DeKalb. While deputy and town historian, he received the Hackman Research Fellowship and the Dearstyne Award for Excellence from the state archives. » Continue Reading. Adirondack Wild: Friends of the Forest Preserve has submitted comments (Comment Letter) to the Department of Environmental Conservation (DEC) opposing what it describes as DEC’s attempt to issue itself a permit to build an illegal snowmobile bridge over the protected Cedar River in the Adirondack Park. The Cedar River was designated by the Legislature in 1972 as a “Scenic” river under the New York Wild, Scenic and Recreational Rivers Act. 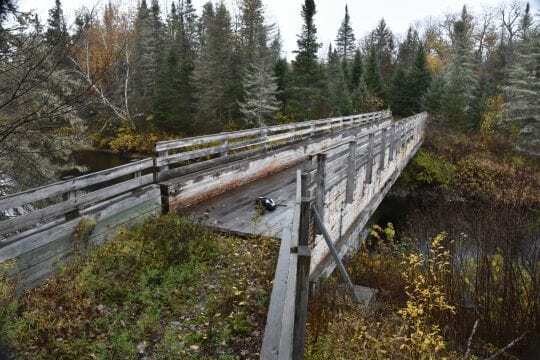 The Act prohibits construction of new, motorized bridges over Scenic rivers and also prohibits snowmobiles and other motorized recreational uses within one-quarter mile of Scenic rivers. » Continue Reading. The second Community Resource Day has been set for Friday, October 26th, from 2 to 6 pm at Aviation Mall, located at 578 Aviation Road in Queensbury. 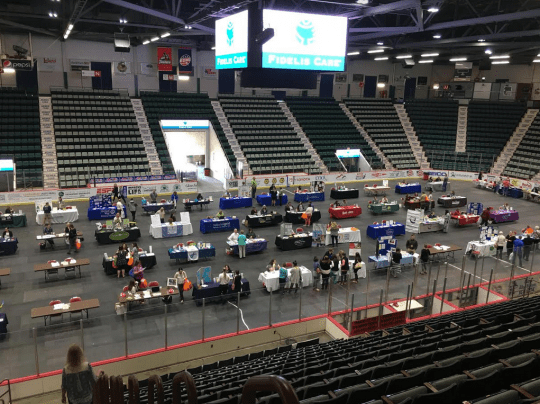 The event is a showcase of more than 65 health and human services organizations in Warren, Washington, Hamilton and northern Saratoga counties. Community Resource Day features information about community organizations, the opportunity for networking, as well as freebies, activities, and door prizes. It is jointly presented by Fidelis Care, Interagency Council, Southern Adirondack Independent Living and the Aviation Mall. » Continue Reading. 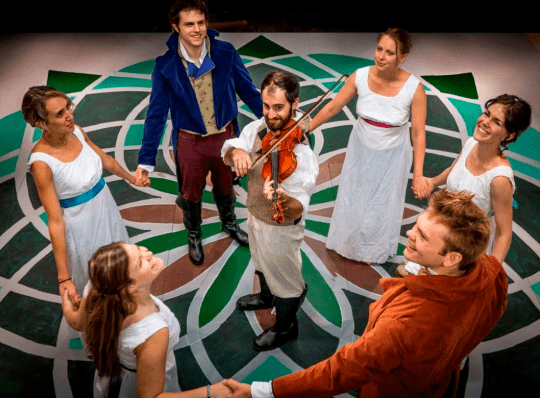 The Adirondack Lakes Center for the Arts is set to present Pendragon Theatre’s production of “Pride and Prejudice” on Saturday, October 20, at 7:30 pm at the Arts Center. In Kate Hamill’s adaptation of Jane Austen’s classic, the outspoken Elizabeth Bennet faces mounting pressure from her status-conscious mother to secure a suitable marriage. Original music composed for this production features actor Evan Raines playing violin live during the performance with the rest of the cast providing various other soundscapes to underscore the action. » Continue Reading. ANCA’s annual Clean Energy Economy Conference is set to return to the Queensbury Hotel in Glens Falls on October 24-25, 2018. The annual forum attracts clean energy leaders from across Northern New York and Vermont who are driving renewable energy adoption in the region. This year’s conference focuses on “disruptive innovation” and will explore advancements affecting the region such as transportation and battery storage. The conference agenda includes special tracks for residential consumers, small businesses and industry professionals, as well as professional training opportunities that provide continuing education credits. » Continue Reading. The Hadley-Lake Luzerne Historical Society has announced Senator Betty Little will be the guest speaker for their upcoming program “New York State Government’s Role in Preserving Our Adirondack History,” on Thursday, October 18th, at 7 pm. » Continue Reading. 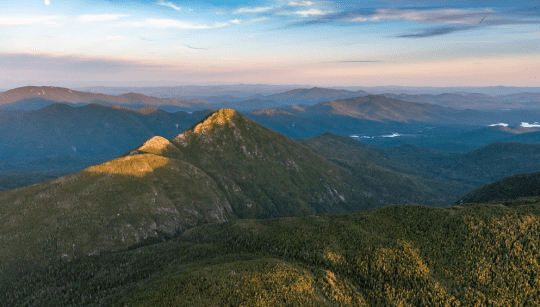 The Whallonsburg Grange Hall Lyceum is set to present “Adirondack Landscapes Through the Lens” on Tuesday, October 9 at 7:30 pm. Scientist and photographer Brendan Wiltse will lead attendees on a journey through the region, through photographs. 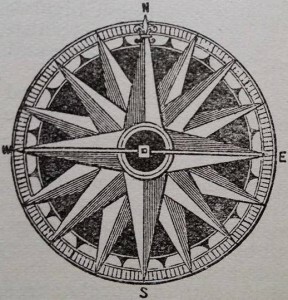 This is the third lecture in the Fall series which is entitled “Landscapes, Real and Imagined.” » Continue Reading. 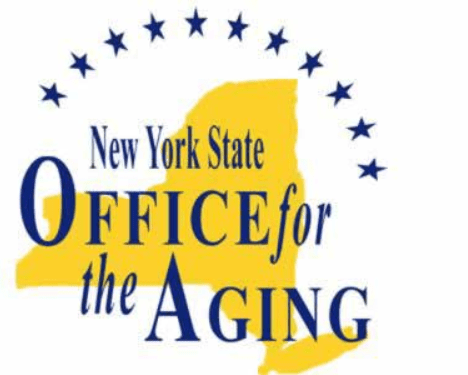 The New York State Office for the Aging (NYSOFA) and the Office of Temporary and Disability Assistance (OTDA) have made an agreement to reach out to different regions of New York State to provide additional Supplemental Nutritional Assistance Program (SNAP) education to older adults. The new program is called SHINE or Senior Health Improvement and Nutrition Education. The nutrition education focuses on adding extra, calorie free flavor to food, preparing quick and healthy meals or snacks, eating healthy on a budget, and maintaining these healthy changes throughout your life. » Continue Reading. Early fall is the breeding season for moose in northern New York. 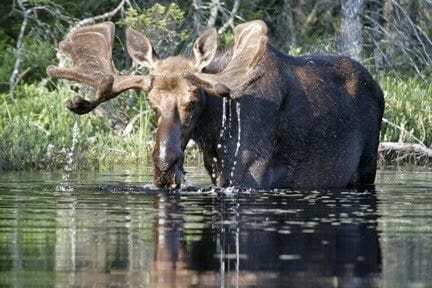 During this time moose are wandering looking for mates, leading them to areas where they are not typically seen. While this improves the opportunities for people to enjoy sighting of a moose, it also increases the danger of colliding with one on the roadway. » Continue Reading. 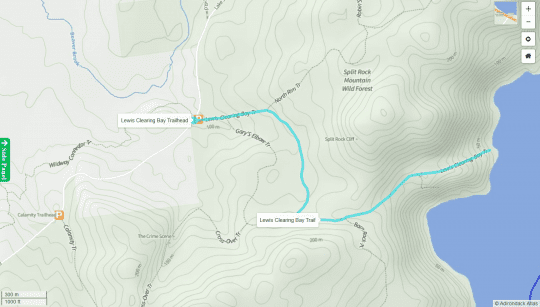 Lewis Clearing Bay Trail, part of the Split Rock Mountain Wild Forest, is a 1.7-mile trail from the Lewis Clearing Bay Trailhead on Lake Shore Road to its namesake bay on Lake Champlain. A 0.2-mile spur trail at the 1.4-mile mark leads to the Snake Den Harbor Overlook. The trail climbs 200 feet in the first 0.7 mile before dropping 450 feet down to the lake. » Continue Reading. Is Saranac Span A Bridge Too Far? According to a press release issued by the Department of Environmental Conservation, on September 24, DEC’s Dispatch Center received a tip from a concerned citizen regarding an individual that had shot multiple bears during the early bear hunting season. The caller reported that a sow and her two cubs were killed on September 22nd. The case was assigned to ECO Chris Lagree, who reported that the bears were taken illegally less than a mile from his own residence. ECO Lagree interviewed the suspect at his home in Plattsburgh, at which time Lagree says the suspect admitted to taking the sow and cubs in addition to another bear, and to having shot the bears over a bait pile. » Continue Reading. 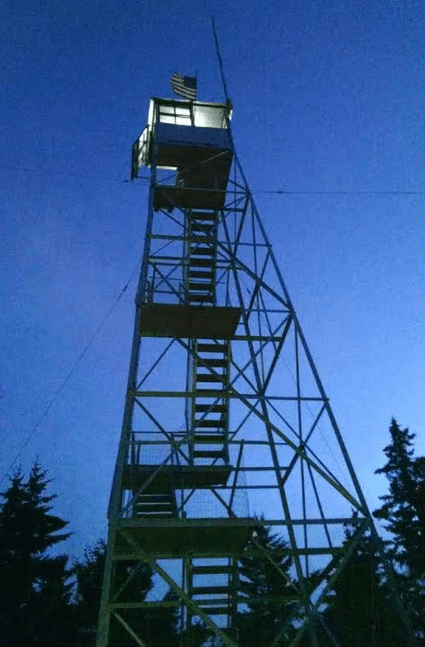 The Stillwater Mountain Fire Tower and the trail to it will be closed to public use beginning from October 8 through December 20th. 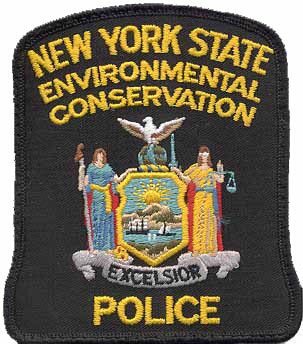 The New York Department of Environmental Conservation (DEC) has asked the public to respect trail closure dates and do not trespass on the Big Moose Tract Conservation Easement that leads to Stillwater Fire Tower. » Continue Reading.